1965 Ferrari 275 GTB Speciale | Car News, Reviews, & Pricing for New & Used Cars. At the recent 11th annual two-day Scottsdale Auctions held by Gooding & Company, the auction house has sold about 12 most impressive cars. Several other valuable cars from its private collection have brought about smashing record prices such as the 1963 Iso Grifo A3/L Prototype, which was sold for $1.8 million, and other highlights from the top ten sales included the 2015 McLaren P1 (sold for $1.7 million) and 1953 Ferrari 212 Europa Coupe (sold for $1.1 million), which also hit over the one million dollar benchmark. Originally owned by Battista Pininfarina, the one-of-a-kind 1965 Ferrari 275 GTB Speciale fetched a world-record price of $8,085,000 during auction. 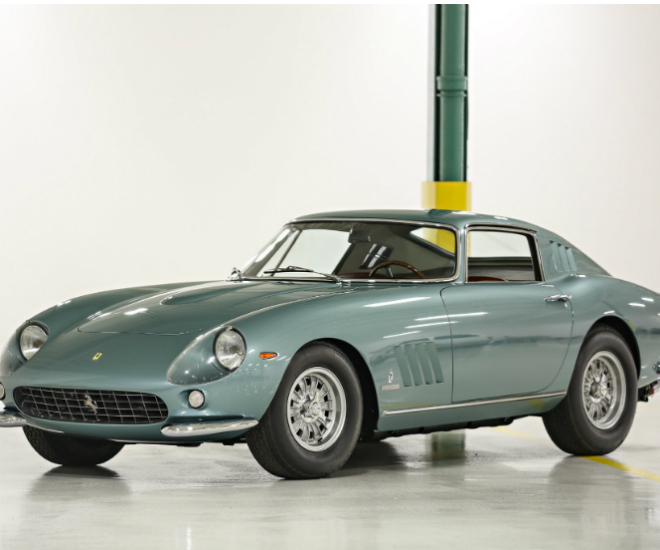 Made in Pininfarina in Torino, instead of Scagelietta in Modena, the Ferrari 275 GTB in blue-green finish carries a chassis number 06437, was arguably one of the most influential show car of all time. The Speciale presented Pininfarina’s design in original short-nose body style, with many bespoke features to this car, such as the front indicators, a social grille, smaller front bumpers, unique lamp head covers with individual brackets rather than chrome as well as the alloy wheels were specified instead of Borrani wire wheels to match the clean lines of the 275 GTB. 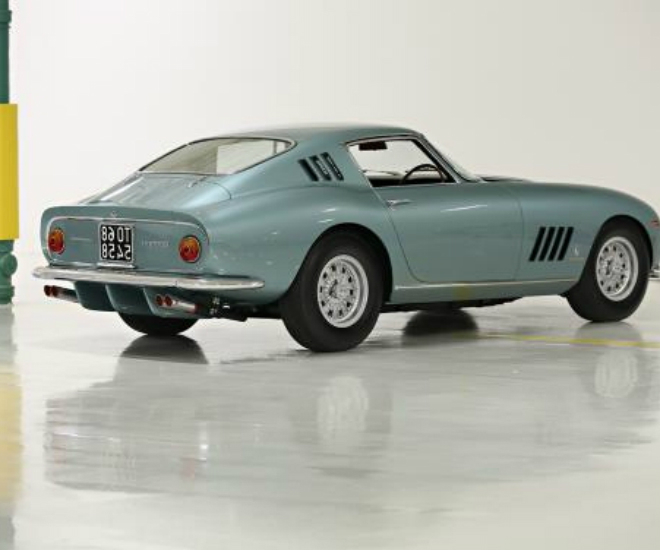 To make the 275 GTB stand out further, the myriad bespoke details extended to the large oval bulge in the centre with custom-built window frames, rain gutters, and even door handles were fitted to create a dramatic finish. Specified by Battista Pininfarina, he took the driver’s-side vent window off the design concept to keep the car in its purest form possible. The interior showed seats trimmed in exotic China red leather upholstery, electric windows, a set of Heuer Rally-Master stopwatches, including the dashboard, finished in polished wood veneer, as well as a Pininfarina badge emblazoned on the glove box door. The personalised 275 GTB, 06437 became an automotive icon after it made appearance at the Frankfurt Motor Show in 1965, followed by the Paris Motor Show in October and the Torino Motor Show in November and also served its duty as a signature display during the Brussels Motor Show. The car was so well-liked that it didn’t escape the eyes of the media; beautiful images of the Speciale were captured and used further for promotional purposes and eventually published in contemporary magazines, and other several books on Ferrari and Pininfarina. View more private car collection for sale at the upcoming auction here. Previous articleWhat Happens When GM and Tesla Hit The EV Tax Credit Cap This Year?